After an organizational hiccup led to its cancellation last year, the “reloaded” Munich Satellite Navigation Summit 2014 successfully re-established the event as Europe’s leading forum for GNSS policy dialog. Under the banner, “GNSS — New Challenges,” conference organizers assembled a packed house and rich agenda of generally high-level, well-informed speakers addressing a range of pressing topics. Perhaps the only misstep of the March 25­–27 event came during the opening plenary, an all-European Union (EU) affair that alternated between a rather premature Galileo triumphalism and an attempt to shift the focus from that program’s lagging progress to a future of integrated GNSS services. Matthias Petschke, now six months into his role as the European Commission (EC) director of EU Satellite Navigation Programs, hinted at a new Galileo delay. In place of EC Vice-President Antonio Tajani’s adamant assurances over the past year that “early Galileo services” would begin by the end of 2014, Petschke suggested a timeframe of “late this year, early next year.” Conversations at the event also indicated that only four satellites may be launched this year rather than six as previously hoped. 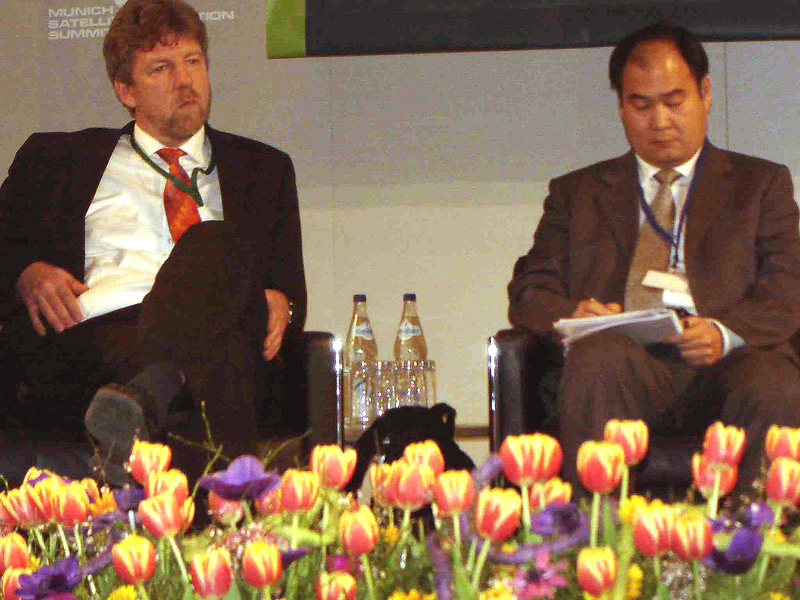 In his opening remarks, Petschke took up the primary theme of the plenary — “GNSS, Earth Observation, Telecommunications: Agency and Industry discuss the view and the vision of Integrated Space Applications (IAP).” He highlighted several concepts such as Seamless Cities, a large-scale demonstrator project of intermodal transport services, and EOrganic, a European Space Agency–financed project to determine with satellite Earth Observation can be combined with GNSS to discriminate between organic and conventional farming techniques. Other plenary speakers extended the discussion of how space-based technologies integrated together and with ground-based systems represent the economic future. A strong subtext to the session was that Galileo industry and civil users should focus on GNSS-aided applications and services rather than the long-delayed Galileo infrastructure itself. Although that perspective has been widely embraced at least since GPS reached full operational status nearly two decades ago, the plenary added details and a European spin to its anticipated manifestation with the advent of Galileo. European GNSS Agency (GSA) Executive Director Carlo des Dorides noted the European market already accounts for 25 percent of GNSS service revenues (mostly GPS-related). More discordant — and questionable — were repeated assertions by Evert Dudok, executive vice-president for communication, intelligence & security at Airbus Defense and Space, that Galileo already performed “significantly better” than GPS. Given that the European GNSS has only four validation satellites on orbit and will perhaps have only another four fully operational capability spacecraft in place by the end of the year, any real comparison of the systems seems problematical today and such a conclusion unsupportable for the time being. In the meantime, many next-generation GPS III satellites are expected to be in orbit and new services coming from L2C and L5 signals on GPS satellite blocks IIR-M and IIF. So, a declaration of early Galileo services may merely mean that the signals have begun to be broadcast continuously on however many Galileo satellites are available. 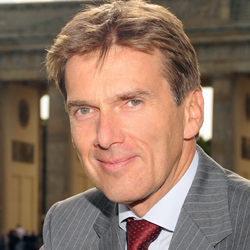 Dudok’s sentiments were echoed by another plenary speaker, Johann-Dietrich Woerner, chairman of the executive board for the German Aerospace Center (DLR), who seemed to suggest that only the prospect of Galileo had saved European citizens from being charged for using GPS. If that was his intent, it would invert the actual experience of the Galileo program’s lengthy attempt to establish a revenue-driven concession and long-standing U.S. policy on free access to GPS. After this somewhat inauspicious beginning, the Munich Summit found firmer footing in the panel discussions moderated by Vidal Ashkenazi, CEO of Nottingham Scientific, that followed on Wednesday and Thursday. Typical of the high quality of those presentations were sessions on “malicious and unintentional interference with GNSS” and another on the legal dimensions of the use of “personal privacy devices” or GNSS jammers. The risk of GNSS disruption from jammers — whether used for purposes such as auto theft or toll collection avoidance, or because of a desire for privacy from unwanted tracking — has gained a high profile, despite the relatively low frequency of actual jamming incidents to date. Although the sales and use of jammers is generally outlawed, their possession remains legal in many countries including the United States, speakers noted. Easy access through Internet sales further complicates the situation. David Turner, deputy director of the U.S. State Department’s Office of Space and Advanced Technology, characterized the International Committee on GNSS (ICG) as “one of the most promising venues” for addressing interference detection and mitigation (IDM), with two workshops on the subject conducted by an ICG working group. 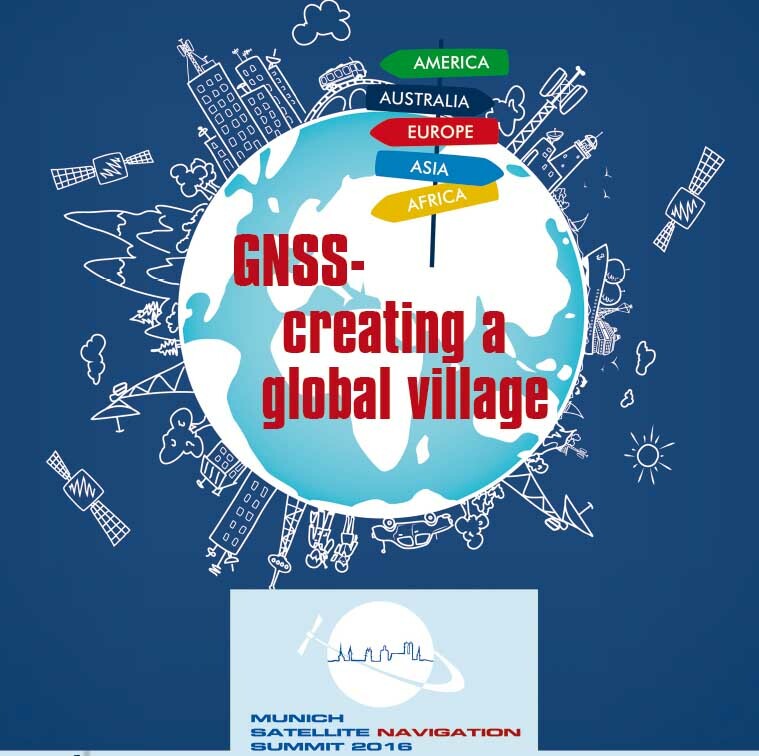 He added that the International Telecommunication Union (ITU) would hold a workshop July 14–15 in Geneva, Switzerland, which would be open to government representatives, organizations, and private individuals to suggest ways of dealing with GNSS interference. Dominic Hayes, the EC policy adviser for GNSS signals and frequencies, suggested a couple of approaches: the use of infrastructure similar to that of camera installations designed to catch speeders only for interference detection, and mobile handset crowd-sourcing techniques, although battery performance issues might make the latter method more suitable for vehicles. Another effort Hayes cited included a project by ESA and Germany’s Federal Armed Forces University to develop a jam-resistant receiver using anti-phase cancellation of jamming signals. Gang Chen, an engineer and program manager in the China Satellite Navigation Office, pointed out that BeiDou’s authorized service will have more jam-resistance while the nation is also building an IDM monitoring network. Satoshi Kogure, mission manager for QZSS operation in the Japan Aerospace Exploration Agency’s Satellite Navigation Office, said that the agency was trying to design a signal-proofing message for military and authorized users of the Quasi-Zenith Satellite System. Commercial and civil QZSS users, however, still would need support, he noted. Meanwhile, the difficulty of reconciling the tradeoffs between privacy and interference-free GNSS use might best have been summed up in an exchange between David Sobel, senior counsel for the Electronic Frontier Foundation (EFF) and Stanford University professor Per Enge. 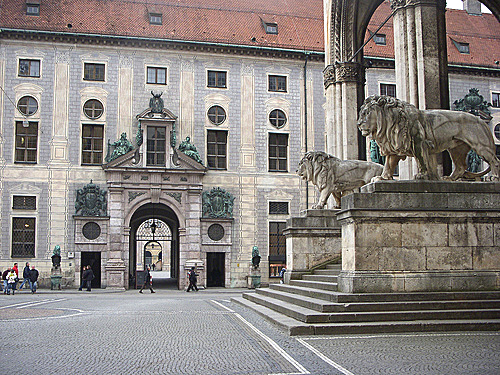 Noting that “laws have trouble keeping up with technology,” Sobel challenged the engineering community “to come up with technical solutions to protect privacy while not interfering with GNSS operations.” Enge, on the other hand, argued that legislated solutions regarding personal location would be easier to achieve than technical ones, which are constrained by the laws of physics. The give and take came at the end of a compelling panel overseen by Ingo Baumann and Oliver Heinrich, partners in BHO Legal, a Cologne, Germany, law firm. Interference statistics gathered annually by the European Conference of Postal and Telecommunications (CEPT) indicate that “GNSS jammers this instant is not a critical issue in market surveillance,” said Thomas Weber, spectrum manager with CEPT’s European Communications Office. “But the interference situation has the potential to grow and cause more problems in the future, especially with future growth in [intelligent transport] applications,” Weber added. Reflecting the EFF’s advocacy on behalf of personal communication privacy rights, Sobel provided an analysis of U.S. legal and legislative policy around government surveillance of mobile phone use. The U.S. National Security Agency (NSA) widespread collection of mobile phone data, e-mails, and Internet browsing histories has elevated this issue. In 2012, Sobel said, U.S. telecom carriers received more than one million requests from government agencies for access to data on private mobile phone use — with individual requests involving hundreds or even thousands of users.